When I began learning about herbs years ago before I became a naturopathic doctor, mullein was one of the first herbs I made into a medicinal tea. Since I was plagued by frequent coughs at the time, I had decided to try mullein for its well-touted lung benefits. Mullein was a very useful starter herb for me to try. It made a mild tasting tea and was a very gentle herb for me to experiment with. If I made any mistake in its use at that time, it may have been that I wasn’t drinking the tea frequently enough to help with my acute condition. While gentle herbs can be very safe, we may need to use more of them to get the full benefit. Though different types of coughs call for different herbal interventions, mullein may be helpful for nearly any type of cough. Mullein may help make coughs more productive since it is a stimulating expectorant. At the same type, it is has some antispasmodic benefits that may help calm a cough. Mullein is also a demulcent herb, which means it can moisten and sooth dry, irritated respiratory pathways. 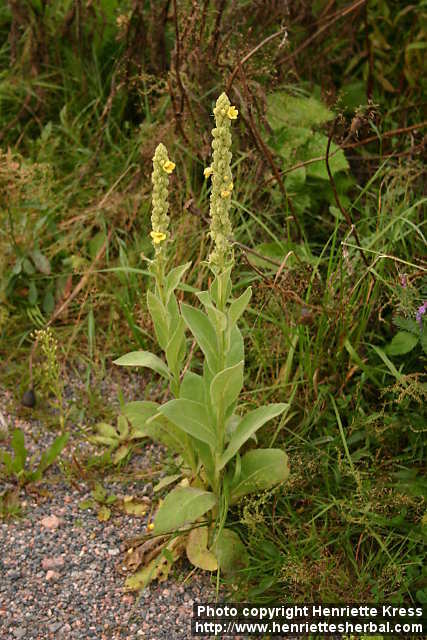 Mullein also seems to have mild antimicrobial benefits, and a test tube study revealed some possible antiviral action. Because of these combined actions, mullein is frequently chosen as part of the treatment for upper respiratory infections like bronchitis. These antimicrobial and soothing benefits have also earned mullein a place in many ear oil formulas. In these formulas, it is typically the flower that is used, whereas either the leaf or the flower can be used for the respiratory tract. This entry was posted in Herbs and tagged bronchitis, cough, ear infection, ear oil, expectorant, medicinal tea, upper respiratory infections. Bookmark the permalink. This sounds good! I’ve certainly had some rounds with coughing and I think I’d like to try this if I ever suffer with it again. Is this in the spice bulk dept. or is it in a tea, to buy? Appreciate you. Mullein can be purchased in bulk. I don’t know off hand of any in tea bags already.